The rest of Alabama may want to watch to the race for mayor in Mobile, where fiscally responsible reformer Sandy Stimpson is trying to ward off a comeback attempt by liberal former mayor Sam Jones. 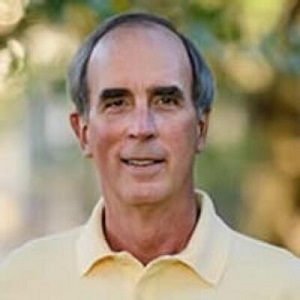 Stimpson, a leading timber executive with a long and varied record of local and state civic leadership, defeated Jones in a mild upset in 2013. Jones is a former Navy man who served for 16 years as a Mobile County commissioner before his two terms as mayor. Election day is August 22. As County Commissioner, Jones built an image as a moderate-liberal, at least semi-friendly to business interests, who preferred building coalitions rather than making waves. Jones became Mobile’s first-ever black mayor in 2005 by defeating white Republican former city councilman John Peavy, when black voter registration still was less than 45 percent of the electorate. After a mostly uncontroversial first term, Jones was re-elected without opposition in 2009. Jones’ second term, though, was marked by reports of sloth, mismanagement, lack of transparency, and some economic stagnation, along with the embarrassment of having lost a cruise-ship contract after the city had spent a fortune building a new ship terminal. Jones also appointed or re-appointed leaders to the local public housing board who, in the words of publisher Rob Holbert of the moderate Lagniappe Weekly, “allowed this city’s public housing to disintegrate to such a degree that much of it looked like it belonged in the Third World.” The Mobile Housing Board now is under investigation by the Inspector General of the U.S. Department of Housing and Urban Development – but that didn’t stop Jones from taking a job (after he left office) from longtime board chairman Clarence Ball, who oversaw the whole mess. By the time Stimpson ran against Jones in 2013, Mobile’s black voter registration had exceeded 50 percent. But Stimpson, who has a winsome manner and exudes goodwill, carefully built a biracial coalition while pushing a unifying motto of “One Mobile.” Stimpson won comfortably, with 53.5 percent of the vote. Since then, Mobile’s government has improved by almost every metric…..